If you’re a website owner one of your primary goals will be to optimise your site to rank higher on Google and increase organic traffic. When it comes to optimising your website content and other on page factors it’s important to not only understand what can positively affect your rankings, but also what can harm them. On one hand, not optimising your site enough will mean Google won’t see you as relevant, whereas over optimisation will more than likely lead to Google marking your site down. For real search engine success you need to achieve a delicate balance. This isn’t easy when you consider there are a reported 200+ ranking factors built within Google’s algorithms. The big question is which of those do we have cast iron evidence to support, and which are outright myths? Northcutt have recently published some detailed findings which argue the case for each. 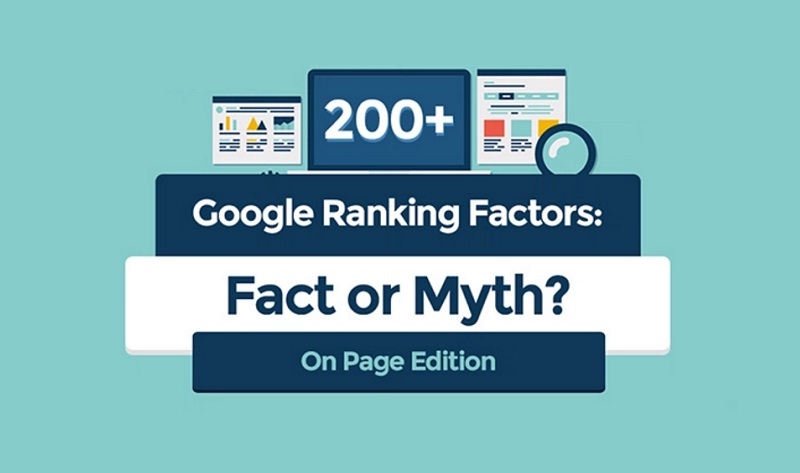 They’ve labelled them on a sliding scale with those that have been confirmed by Google as having an effect ranked as “Concrete” and those with no evidence at all ranked as “Myth”. You can either take a read of the extensive work directly on the Northcutt website here, or you can view an easier to follow summary in this infographic from Red Website Design. Read the On-Page edition of this graphic here.